I took photographs for them and had an opportunity to give back to the community and walk in an area that I love. Fun walk and morning. Fabulous shot. The picture holds a thousand words. Very nice. That is so neat that you were able to do that, and a nice way to give back as you said. Lovely capture of a very nice family activity. Nice project and good capture. Always great to be able to help out with a worthwhile cause. Glad it was a fun day! Such a cute capture! A great experience for you too! 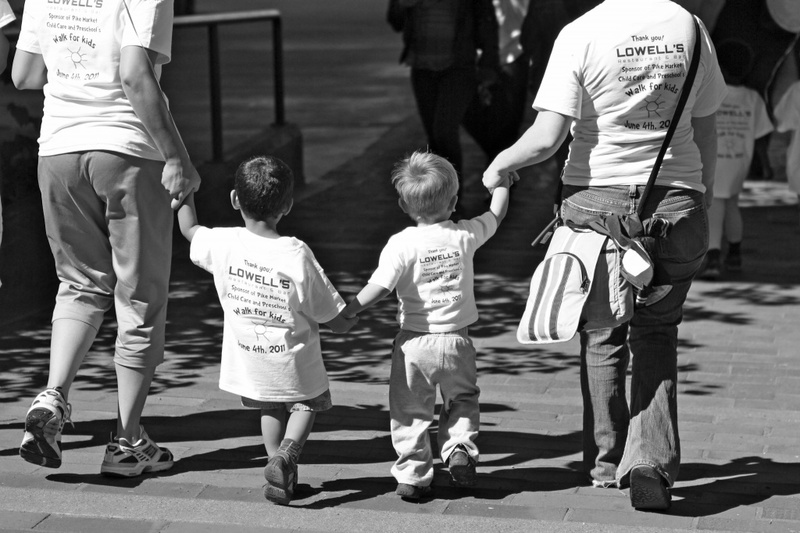 Super cute shot of the tiny Walk participants! Love the toddler sized t- shirt on the little guy on the right. Well done, Constance!